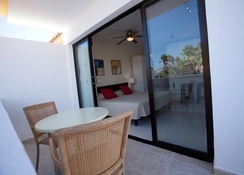 The Select Sunningdale sits in the popular tourist town of San Miguel de Abona on the Island paradise of Tenerife. The hotel itself offers guests tons of facilities and services giving them the opportunity to kick back and relax in endless hours of sunshine. The hotel is a short distance away from the Golf del Sur golf course, where the hotel has special agreements and discounts. Guests can enjoy the clubhouse, live entertainment, internet access, supermarket and holiday accommodation with all the comforts of home. Guests will find plenty of attractions within the hotel’s vicinity that include beaches, Playa de las Americas, cultural events and of course the spectacular beaches of the Los Cristianos. Select Sunningdale provides plenty to do and experience, which ultimately makes it a perfect place for a family holiday in Tenerife. The Select Sunningdale Hotel is conveniently situated in Santa Cruz de Tenerife, Spain. 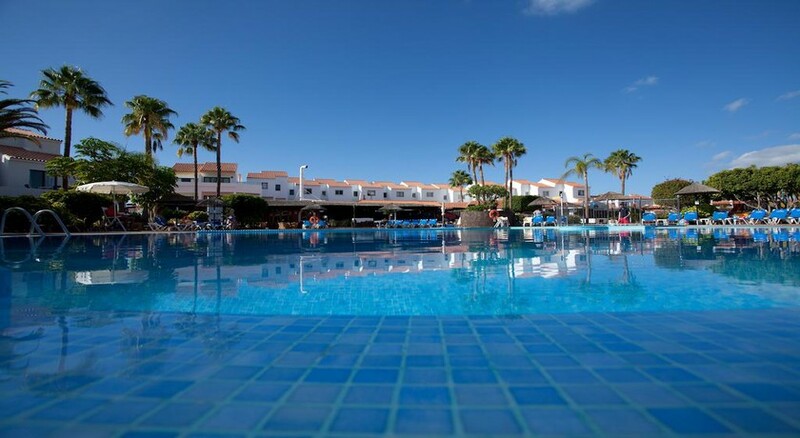 You will find all the major places of interest within close proximity to the hotel that include remote beaches, shopping malls and the eye-catching beaches of Los Cristianos. All the beach lovers and water sports lovers can head to the La Tejita Beach, which is about 9.1km from the hotel. The Tenerife South Airport is only 7.6km, which makes it convenient and economical for the guests to travel. The rooms at Select Sunningdale will make you feel like a home-away-from-home. The rooms fall in four categories to accommodate couples and families with children. The room types include One Bedroom Two Adults + Two Children, One Bedroom Three Adults, One Bedroom Two Adults and Studio Two Adults. All the rooms come with all the necessary amenities that include terrace, cable/satellite TV, kitchenette, iron/ironing board, linen and towels, room safe and in-room service. The hotel offers breakfast, lunch and dinner at the Zacaray’s Restaurant. Grab light bites, snacks and refreshing drinks to keep yourself energized after a tiring swim. Apart from this, you can enjoy the hotel’s fresh menu filled with lip smacking dishes and authentic Spanish delicacies, which will make you feel the real essence of Spain. The hotel offers half-board facility to its guests, which can be reserved at the time of booking. Select Sunningdale has tons of on-site activities to keep the guests happy from time to time. Both the adult-only outdoor swimming pool and the kids pool are the palpable pivotal point, however, there is an equal amount of fun to be had at the golf course, table tennis room, petanque and pool table without getting wet. Additionally, there are an array of facilities, which will help you maintain your body shape. If live music and entertainment is what you are looking for, then the evening music shows will surely be a big hit. Kids too can have a lot of fun in the mini club (4-11 year olds) when their parents are busy with other leisure activities. We booked last minute as we fancied being away for our wedding anniversary & it was great, CLCSunningdale is a lovely omplex, ours was a studio but plenty big enough & very well equipped and clean. Hope we can get back.